16 XLR input channels on the stage box with 4 TRS return channels for mains, monitor mixes or headphones. 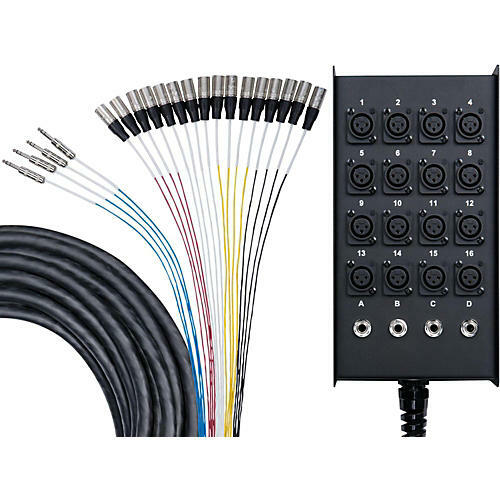 The fan side has 16 XLR male connectors with 4 TRS male to connect to the master output section of your mixing console. Limited lifetime warranty.